Three months ago, I wrote about a Bangladeshi worker who left his village for a job in Singapore, and returned home in a coffin. His widow, Maloti, was a mess when we met. She had sent her two older children to an orphanage. And she could barely take care of her youngest. Amazing how the internet works. That story was picked up by TOC, and a reader (who prefers to remain anonymous) decided to launch a donation drive. 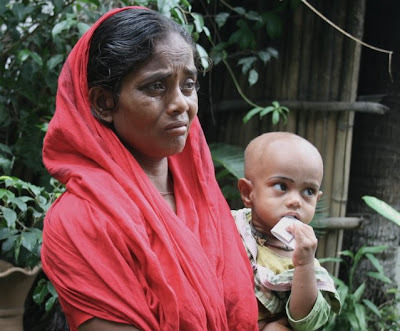 Last week, we were able to hand Maloti a bank draft for nearly S$2,000. A little bit of hope amid all the despair. Something to show her that not all Singaporeans are like her husband’s scummy ex-employer. Maloti wept throughout our meeting in Dhaka. Small wonder. It must have been so incredibly overwhelming for her. How does one get over the death of a loved one? How does one get over a death so horrendous? To everyone who donated – thank you. 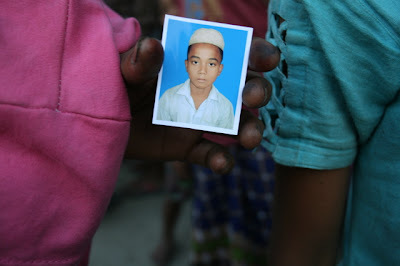 Barely two months ago, this little boy – Maloti’s son – was condemned to an unimaginably bleak childhood. You’ve just changed that. You’ve given him a fighting chance, for a better life.